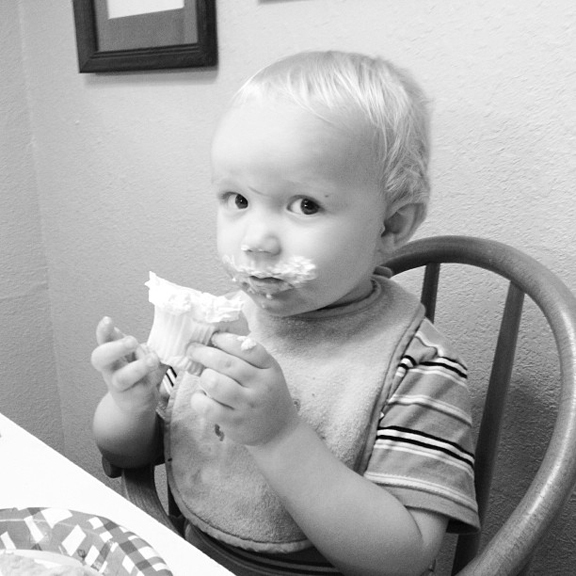 We had cupcakes celebrating Steve's new job, and Tate thought they were the best thing ever. Of course, after a week of him constantly yelling "cuh-cake!" while pointing at the counter made it slightly less endearing. I am head over heels for this maternity dress. I am dying to try this braided headband hair tutorial. I wear these flats every day. I adore this pretty gathered maxi how-to. I want this pretty gold statement necklace. We are celebrating Steve's birthday this weekend. What are your plans? Awwe, what a sweetie! That's a gorgeous maxi how-to.